The Burning Sands is a huge wasteland located North and West of Rokugan. 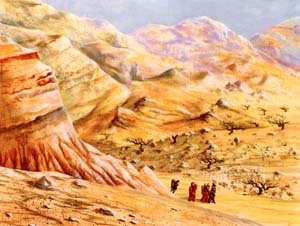 It includes the Nahr'umar River as well as several exotic empires associated with desert life. Vorloi - The Vorloi left the Burning Sands to seek fame and fortune in Dragonport.